Nantongo Joyce Nalongo developed a tonic for swine flu using locally-available ingredients that keep pigs healthy and strong. She mixes salt, Asteraceae leaves, ash, soil from anthills, soap, and human urine into a tonic. 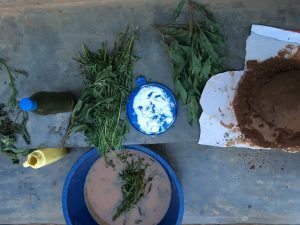 Joyce created this powerful concoction by combining knowledge passed down from her parents with her own observations on her farm. Not only are all ingredients low-cost, the tonic prevents the need for outside inputs like a vaccine or antibiotic. Joyce is now a self-reliant livestock farmer and her life has greatly improved thanks to this innovation. She hopes to continue to improve her tonic and sell it to others in her community. Learn more about Joyce’s innovation (documented as a joint project by A Growing Culture, InsightShare, and Kikandwa Environmental Association) here. Joyce and her family have benefitted immensely since the creation of her tonic, and so have her animals. The concoction has improved livestock husbandry and treatment as well as pig health. It has also reduced antibiotic and vaccine use, which in turn reduces Joyce’s costs for inputs. 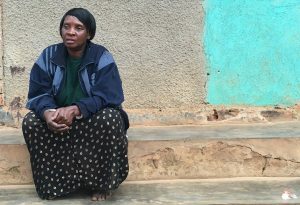 Joyce has also increased her revenue from having more healthy pigs to sell, which she uses to send her children to school and buy cows or land. Her swine flu tonic is better for the environment, too, because Joyce now requires fewer chemical inputs as well as recycles byproducts and waste.